Sadly, most baby wipes on the shelves in stores contain chemicals. Some are even harmful chemicals. 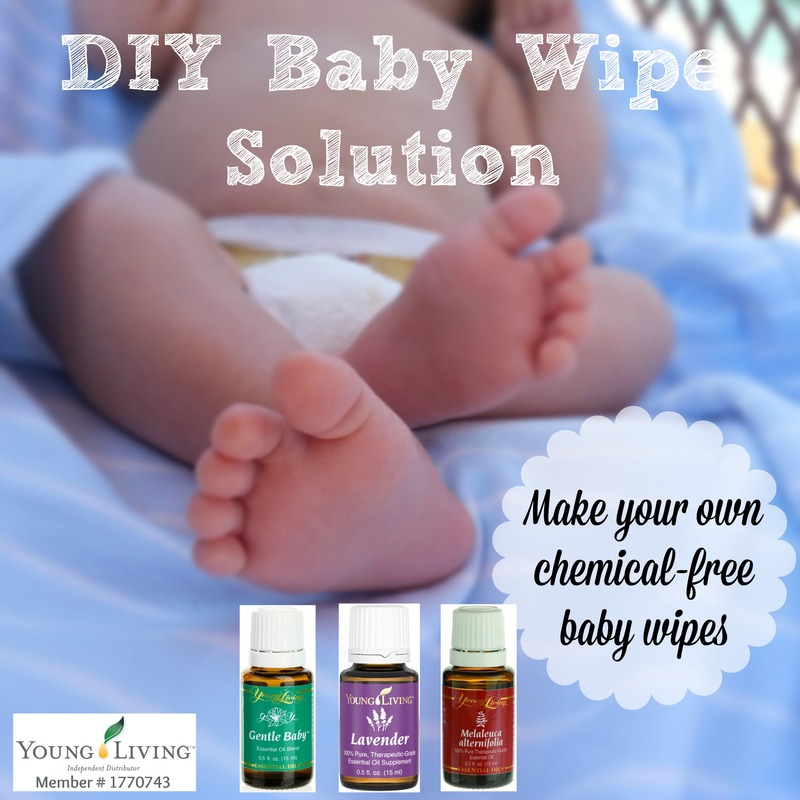 So, to avoid exposing their baby’s sensitive little parts to chemicals, many people are making their own diaper wipe solution using all-natural ingredients. This news article explains that chemicals in baby wipes are causing alarming allergic reactions (very sad). You can make your own disposable baby wipes using a DIY solution and strong yet soft paper towels (such as Viva). 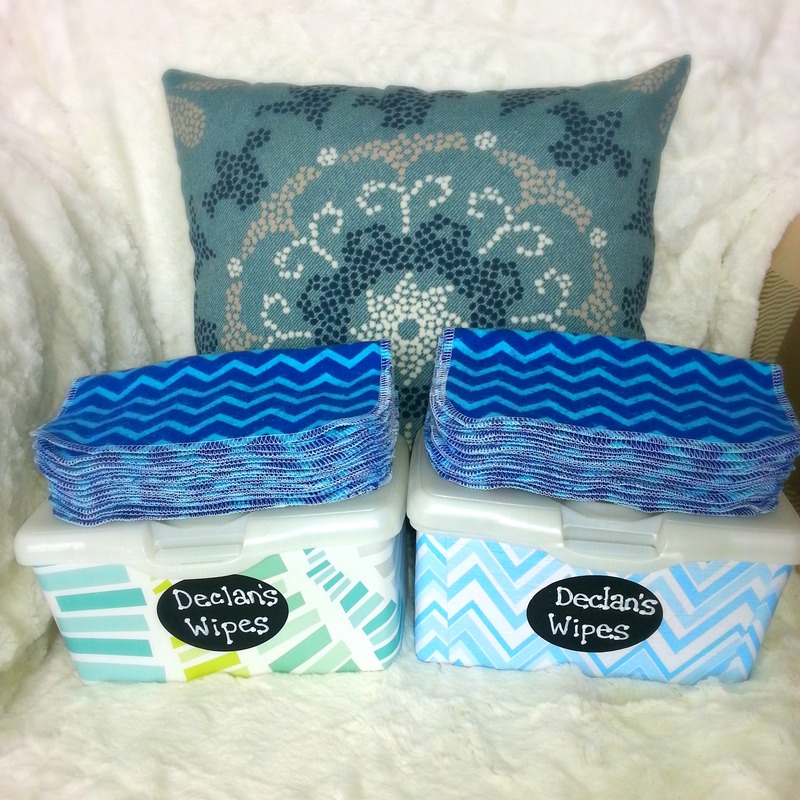 If you cloth diaper your baby, reusable baby wipes are a wonderful option! 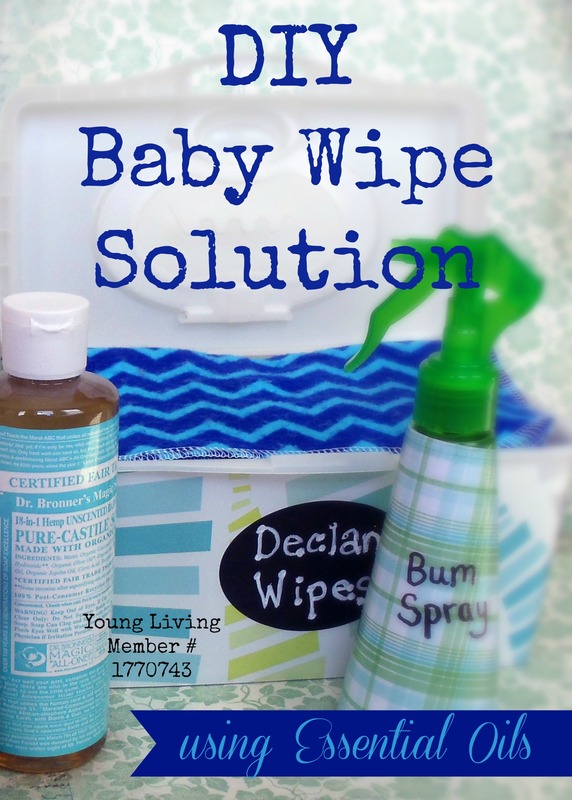 You can just launder the baby wipes with your cloth diapers, and keep re-using them over & over again. 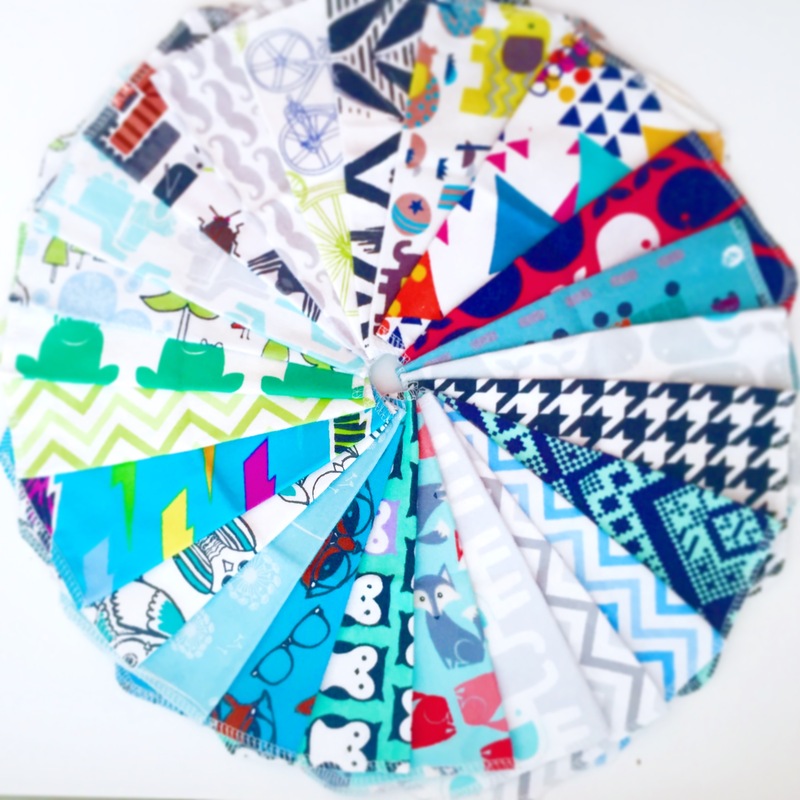 We cloth diaper, and use these reusable baby wipes from Marley’s Monsters – an Etsy shop containing the most adorable hand-sewn baby products you’ve ever seen! Lavender essential oil is very good for the skin, and can help prevent diaper rash. Tea tree oil is also good for the skin, can help heal rashes, and will prevent the solution from getting mildew-y. It is important to use therapeutic-grade essential oils in your wipe solution, because lower-quality oils come from plants that may have been exposed to pesticides and harmful chemicals, and the oils may have been adulterated (diluted or chemically altered) to produce a lower-cost product. Lower quality essential oils may have chemicals, which is exactly what we are trying to avoid by making our own solution. There is not an exact science to creating your own wipe solution, so you can use this DIY recipe as a starting point, and feel free to alter it in any way that you choose. You can experiment with different proportions of these ingredients, or try adding different essential oils to meet your child’s needs. A note on storage: I keep our wipe solution in a large mason jar. I store our cloth wipes in a plastic diaper wipe container (re-using one from when we used to buy baby wipes). I pour small amounts of the wipe solution onto the cloth wipes periodically to keep them slightly moist and ready for use. I also keep some of the wipe solution in a spray bottle. To clean up a very messy bum, you can spray extra solution onto the wipe or onto the bum. Previous Post Train-themed birthday party!